If anyone ever wondered where The Korea Herald is, the physical location of it is in Huam-dong, Yongsan-gu in Seoul, South Korea, on the first floor of a five-story building of the Herald Corporation. The building is discernible by its red bricks and a giant H logo on the upper facade. From it, winding alleyways snake through hills to Haebangchon and Itaewon, a district of international elements in the center of the capital city. The Korea Herald amplifies its daily news through all the conventional social media, namely Twitter, Facebook, Instagram and YouTube. The paper stepped into the wildly popular video platform of YouTube in March 2015, and fully joined the video bandwagon in 2016 with video productions from the scene of the Saturday protests that led to the impeachment of the former President Park Geun-hye. An official team of video production reporters were put together at the start of this year, upping the number of videos put out weekly. Emboldening its video frontier, The Korea Herald joined Naver’s V Live app in July. Naver is the South Korean equivalent to Google, and V Live is its video streaming app that launched in August 2015. Being one of the most youth-oriented video live streaming platforms, Naver’s V Live app is where K-pop celebrities directly communicate with their fans from around the world. The Korea Herald was selected as one of the five news media to have a direct channel on V Live app. 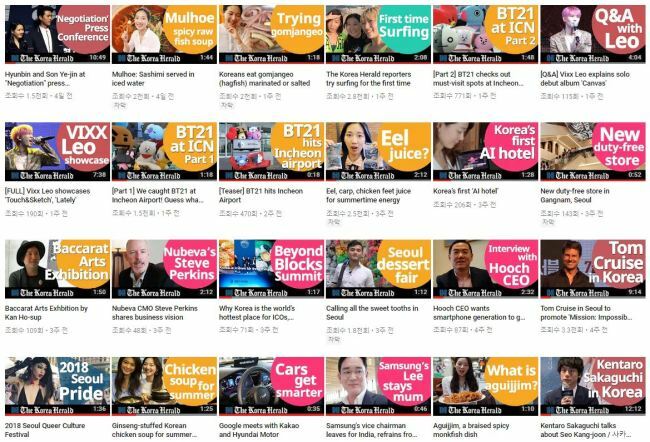 Using the logo KH for its profile image, the Korea Herald V Live channel is now putting out live shows with K-pop album reviews and breakdowns of the trending topics in the Korean entertainment industry. The channel is one way to interact with Korea Herald reporters and see them answering questions from the live audience. 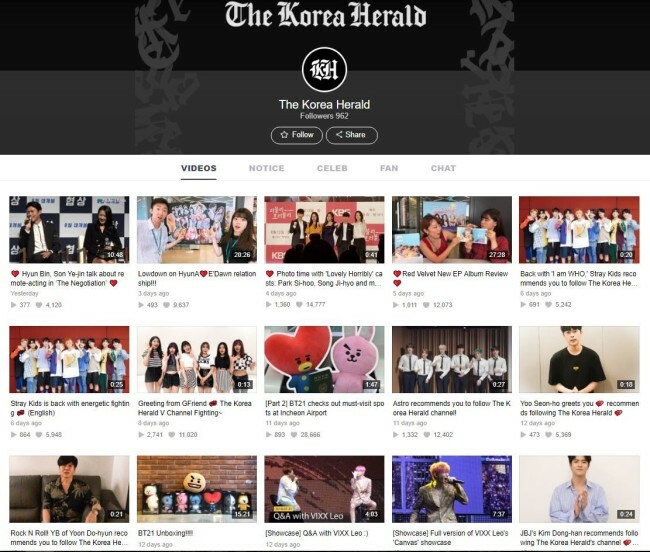 Since opening the channel on July 27, The Korea Herald has rapidly picked up followers, and as of Aug. 15, the 65th birthday of the nation’s oldest English daily, the number of followers already neared 1,000. The channel’s opening was congratulated by K-pop celebrities including Apink, GFriend and Super Junior. Aside from text-based latest K-pop news, The Korea Herald experimented withlive broadcasts discussing female K-pop group Red Velvet’s new album “Summer Magic,” and a lowdown on the scandal that ensued after singers HyunA and E’Dawn publicly confirmed they were in a relationship.